Till your baby is in the hospital he/she will be taken care of by the health care provider. 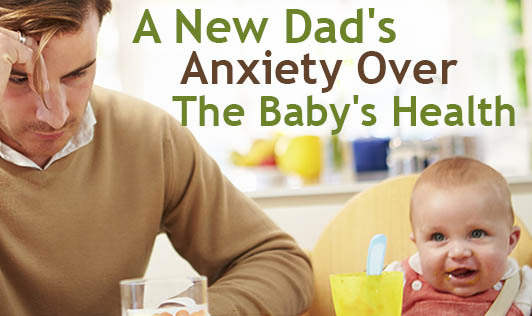 Soon after it comes home you may start getting concerned over the baby's health. As a new dad you might feel that your knowledge about babies is very little. 1.Is my baby too fat or too thin? 2.Is my child destined to be tall or short? 3.What if I have a chubby baby? 4.How will I handle the situation when my baby is crying? 5.How will I feed the baby? 6.What will I do when my baby catches a cough or cold? Parents often worry about growth and may compare a baby with siblings and peers. It is important to understand that each child's growth pattern is different and is influenced by a myriad of factors. 1.Genes passed on by the parents (eg.kids tend to resemble their parents in height). 2.The amount and quality of food a child eats. 4.The functioning of hormones that control aspects of growth. If your baby is premature, it is normal for them to have delays in their development as compared to normal children in the same age group. For a crying baby, you may learn techniques like humming a song or learn some sounds that will soothe, and make them feel comfortable in your arms. When the baby has cough or cold, follow the doctor's instructions. Help your wife give the baby the necessary medications if needed. Sometimes, your baby might vomit, do not worry. All babies vomit after they have had breast milk and it is a good sign of showing their digestive ability. All these concerns about your baby will make you learn a lot of wonderful things. Make sure you enjoy every moment without any anxiety.